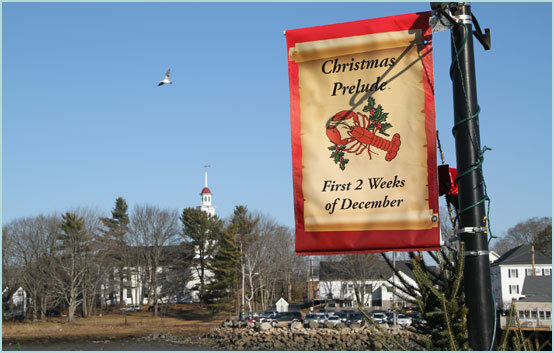 Kick off your holidays with a visit to Kennebunkport and their unforgettable “Christmas Prelude” celebration! 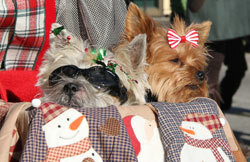 Christmas Prelude is a time of festive fun sure to get any scrooge into the holiday spirit. 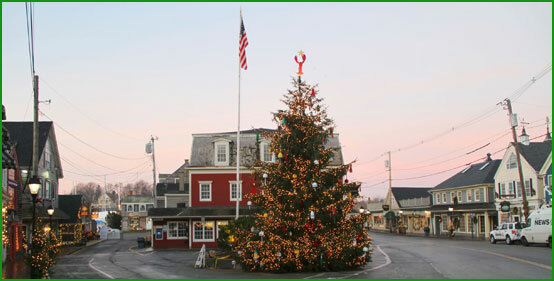 The town of Kennebunkport is located less than 15 minutes away from Sea Mist, just a short drive to enjoy all the festivities in Dock Square. The Christmas Prelude celebration, which takes place at the beginning of December, began in 1982 and has become one of the town’s most popular yearly events. The town is beautifully decorated with lights, bows, and sometimes a fresh coat of snow! Prelude has recently expanded to a 14-day long seaside celebration (Sea Mist closes after the opening weekend but Misty Harbor Resort is open year round and the entire event), full of fun activities and events the whole family can enjoy. The weekend kicks off with the annual tree lighting in Dock Square, a festive celebration with carolers and lively music to get visitors into the holiday spirit. There are historic house tours, sleigh rides and more. 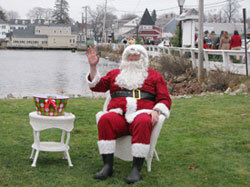 Plus, Santa makes a special appearance in town, arriving on a Maine Lobster Boat! Shoppers will love the opportunity to get a head start on their Christmas shopping, with great deals and bargains at local stores. 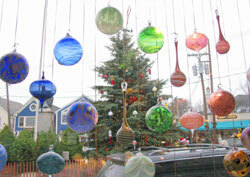 There are also several holiday craft fairs in the area, where shoppers will delight in the unique homemade crafts and gifts. Local boutiques and art galleries will often serve cookies, hot cider and chocolate, and other treats for your enjoyment while browsing. Christmas Prelude has gained a lot of media attention for their holiday celebration, which conjures up memories of Christmas’ of the past and the magic of the true holiday spirit. 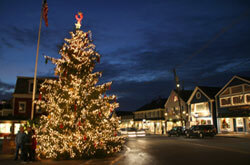 HGTV recently featured Kennebunkport’s Prelude as the #2 Christmas Town in America. 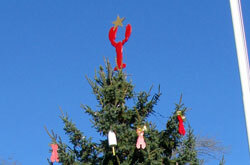 The celebration has even caught on in neighboring towns like Kennebunk and Cape Porpoise, where locals construct a Christmas tree out of real lobster traps! Stay at Sea Mist Resort Motel just 15 minutes from this world famous event. Enjoy our indoor pool and hot tub and save hundred’s of dollars. Economy Rooms from $99 for 2-Nights. $149 for 3-Nights. Premium Rooms from $99 for 2-Nights. $149 for 3-Nights. Premium Plus Rooms from $119 for 2-Nights. $169 for 3-Nights. One Bedroom Suite from $149 for 2-Nights. $199 for 3-Nights.